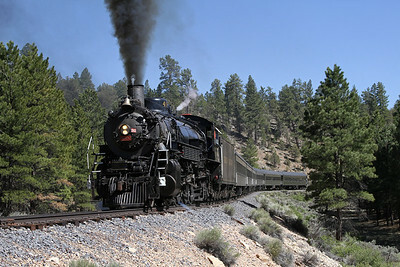 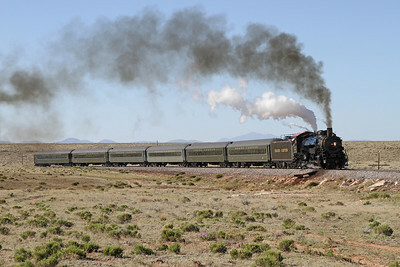 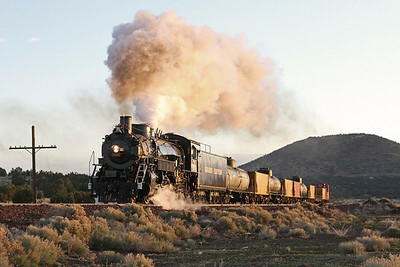 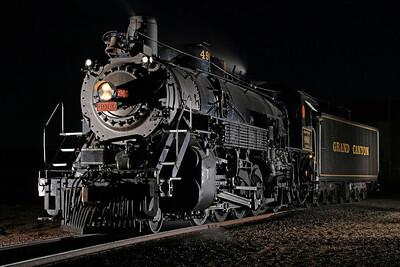 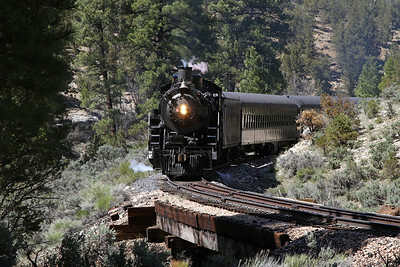 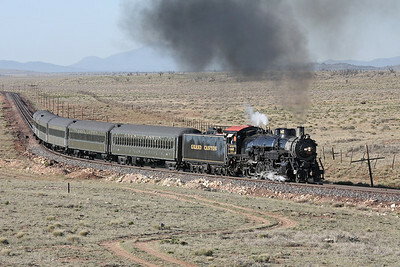 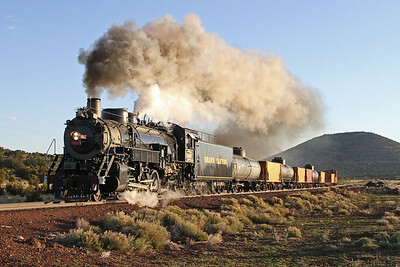 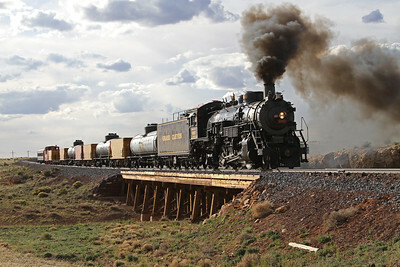 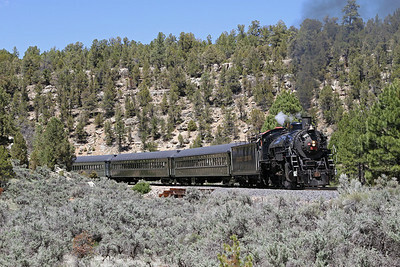 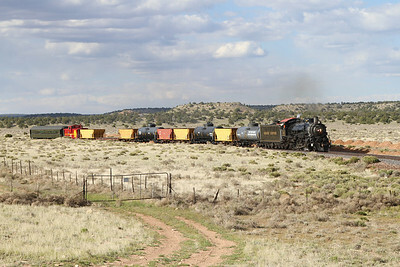 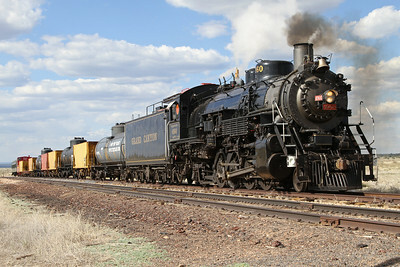 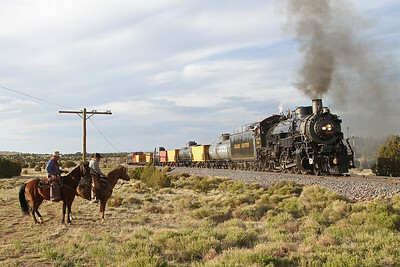 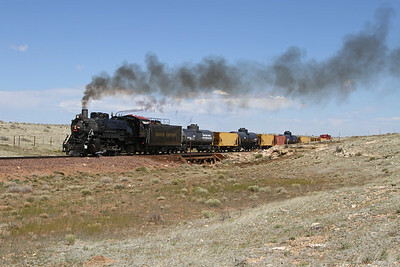 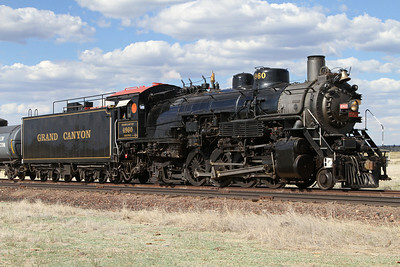 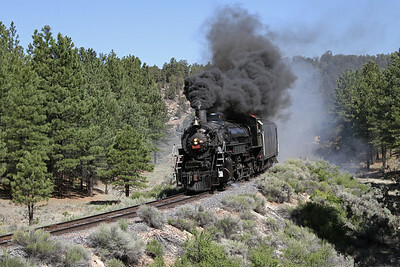 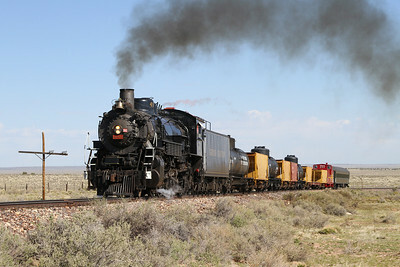 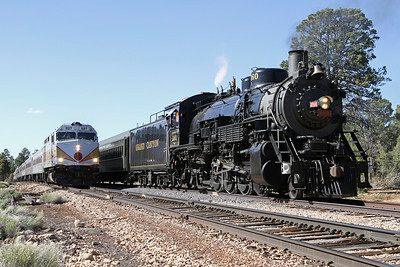 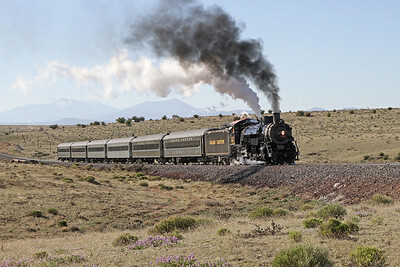 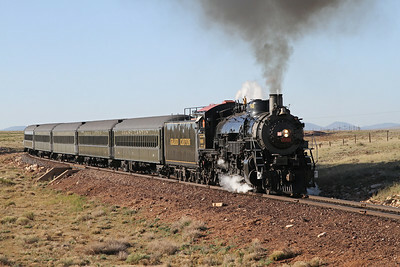 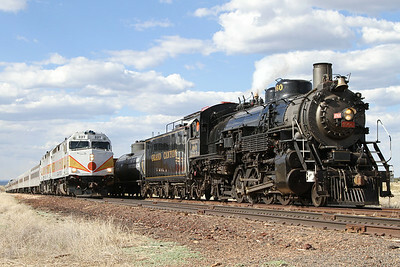 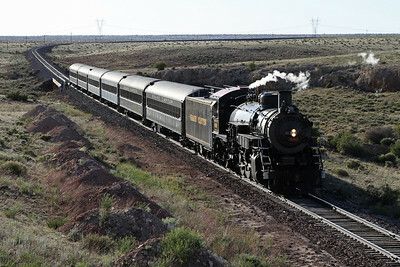 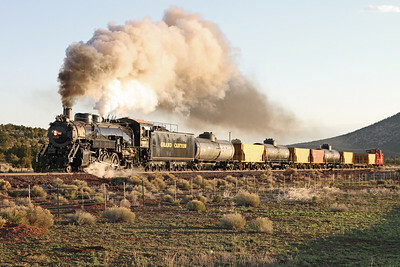 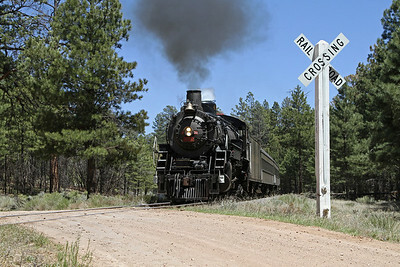 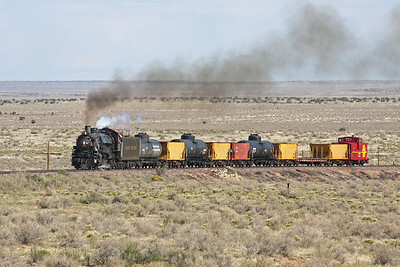 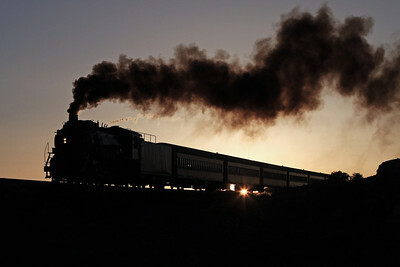 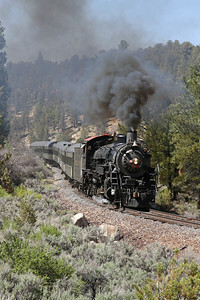 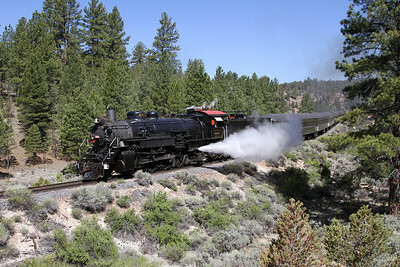 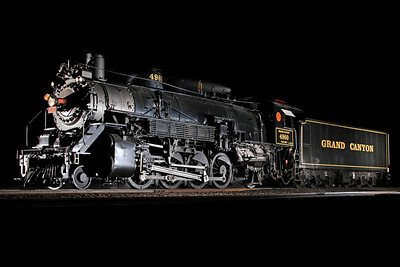 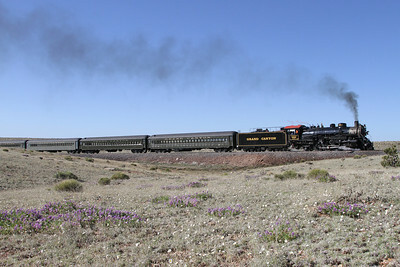 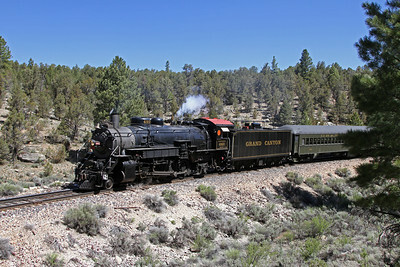 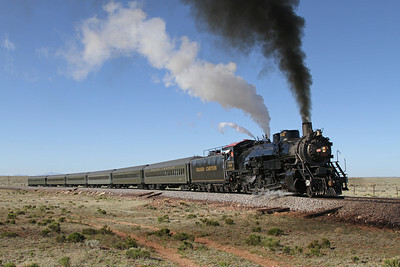 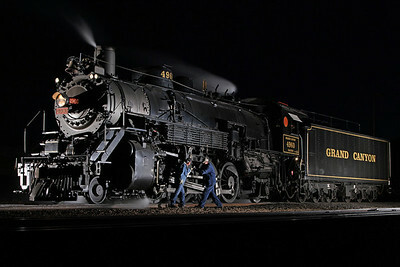 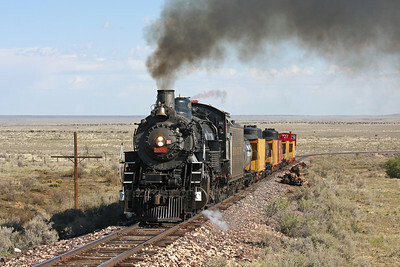 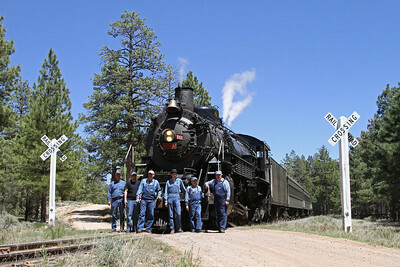 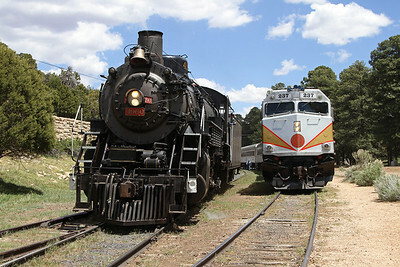 Photos from May 2011, featuring CB&Q 2-8-2 #4960 (Baldwin built 1923) with passenger and freight trains between Williams and the Grand Canyon. 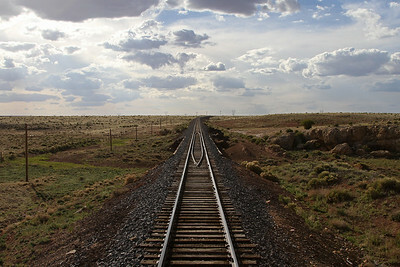 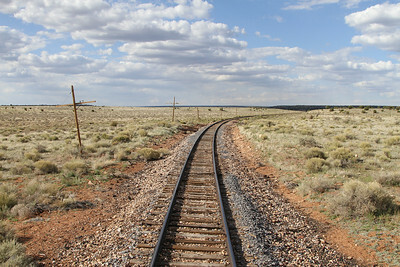 The 65-mile line was built in 1901 and operated by the Santa Fe Railway until 1974, at which time it was abandoned for 15 years before being restored by a private tourist operator. 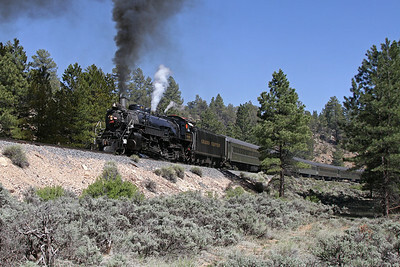 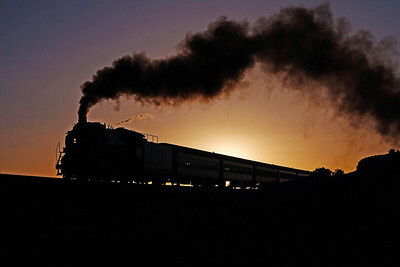 Regular use of steam locomotives ended with new management in 2008 and today the daily train is diesel-powered with locomotive 4960 used only for special events. 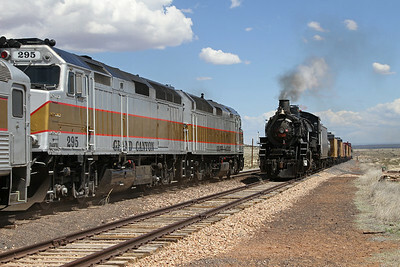 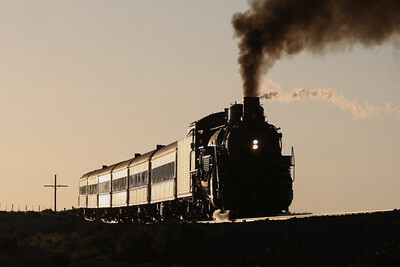 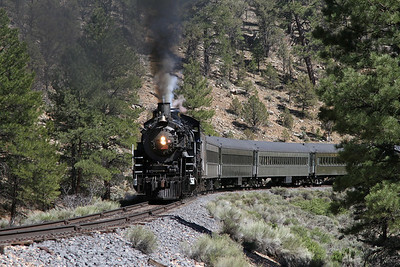 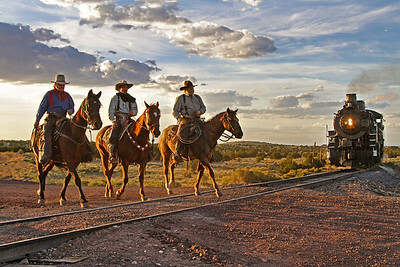 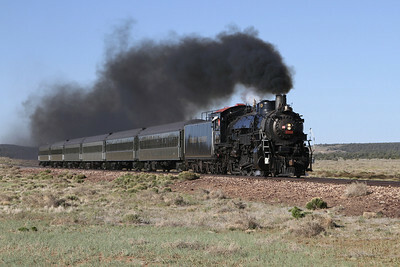 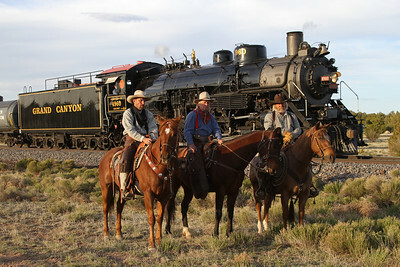 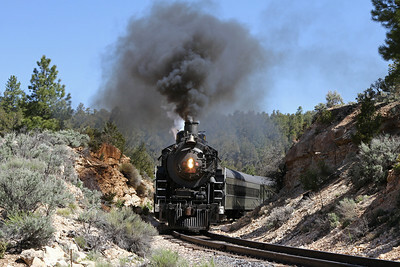 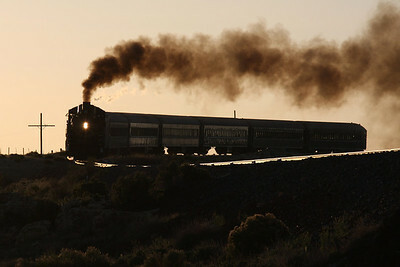 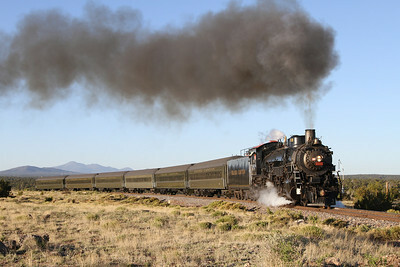 For excursion information, visit the Grand Canyon Railway Website.